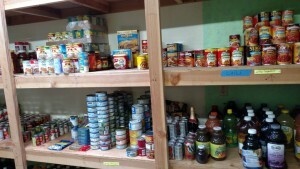 Since 2010 our Blessing Basket Food Pantry has served approximately 80 families supplemental food twice a month. Families receive perishable and non-perishable foods. We are grateful for the immeasureable support of Holiday Market. Holiday donates produce, dairy, eggs, and bread products. 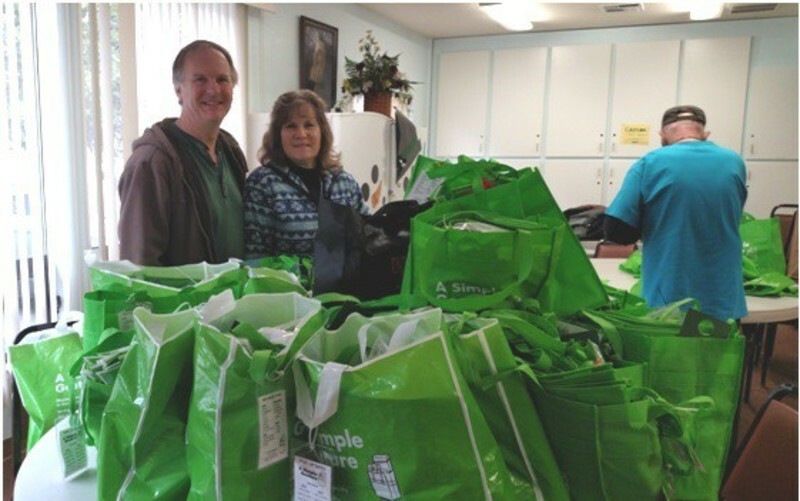 Chip and Lorraine pick up Holiday's donations daily. The "Green Bag" program gathers food from over 1500 families here on the Ridge every two months. We are most grateful for this community generosity! Additionally, we receive fresh produce from Paradise and Chico Farmer's Markets to bless the people with. Distribution day is on Wednesday from 12:30 pm to 1:30 pm. If you are interested in applying for the Blessing Basket Food Pantry, come into our Parish Office to complete an application. We are ready to serve you.